Item number B375 from the MOA: University of British Columbia. 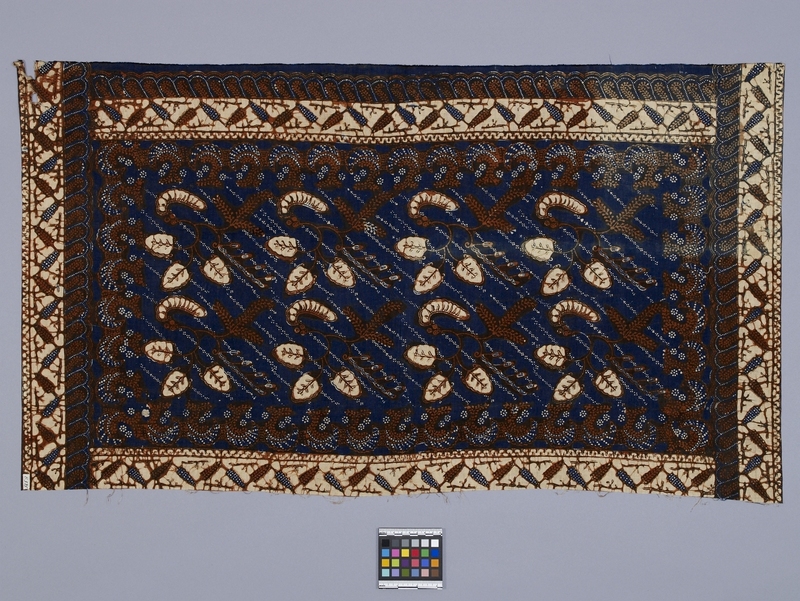 Textile with repeated floral patterns of dark brown and off-white on navy ground. 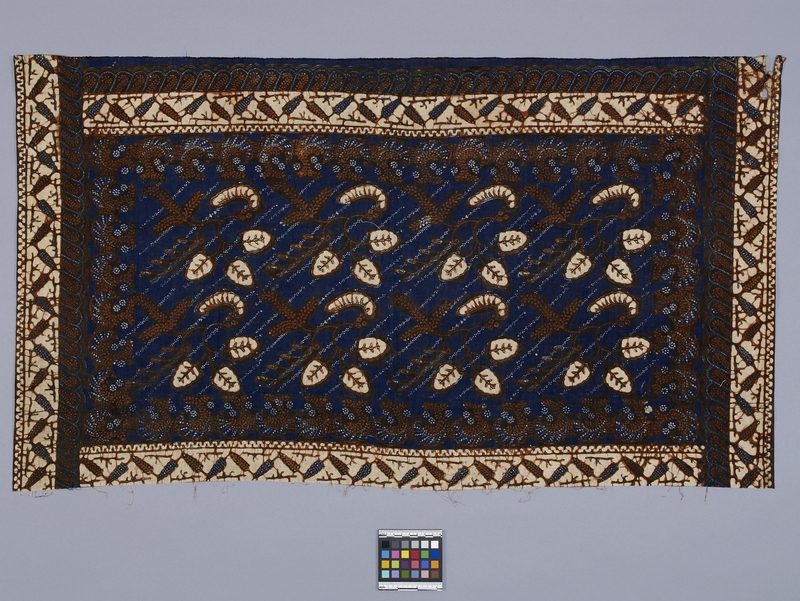 Border pattern of repeated triangular plant motif in navy and brown on off-white. Javanese ? or Balinese ?